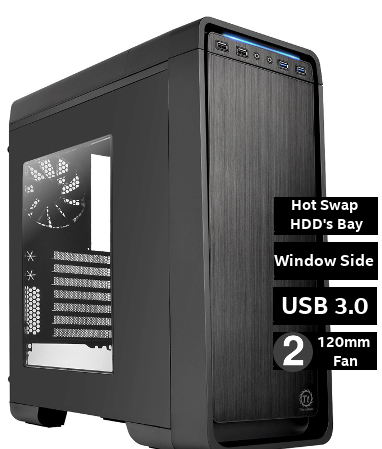 Urban S31 mainstream windowed mid-tower, categorized in Thermaltake latest chassis collection – Urban Series. The entire series has a simple and elegant aesthetic, design for users who looks for everything but a flamboyantly appearance. Built with brushed aluminum finish front door panel to mask the extrusive drive devices, combined with a windowed side panel, it is hard not to get attention on! Two preinstalled 120mm fans to optimize system ventilation in Urban S31. Plus pre-mounted hole for more ventilation options, users still can build up system ventilation by their preference. 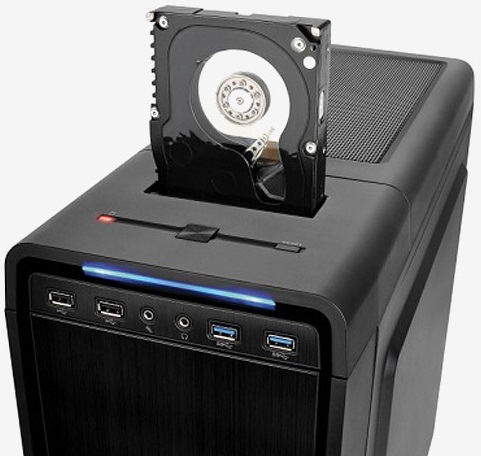 The latest tool-less innovation with 5.25” & 3.5” tool-free drive bay design minimized the hassles of installing ODD and HDD devices. Enables user to build up a complete high-end solution with ease with 240mm radiator liquid cooling system and extra long graphic card supported to protect user’s hardware and increase CPU’s overclocking potential, mostly importantly delivers outstanding cooling efficiency in the entire case.